Keen for a shot at becoming an instant millionaire? 888 Poker’s new promotion – The Million Dollar Money Grab – gives new players who register an account between May 14th and July 14th the chance at winning a cool one million dollars, along with other cash bonuses and tournament tickets. Sign up at www.888Poker.com and you will be instantly rewarded with an entire day of free entry to the $2,000 Gold Chip Tournaments. But you’ll need tournament tickets to stay in the competition – when you register an account, you will receive one ‘on the house’ ticket to enter a $2,000 Gold Chip Tournament. If you deposit real money following your registration, you’ll receive another three free tickets. Within these tournaments, the top 100-finishing players will win one Gold Chip, while the player who places first will win two Gold Chips. Earning Gold Chips rewards you with additional tournament tickets and cash bonuses. If you manage to be the first person to finish in the top 100 in 10 consecutively played $2,000 Gold Chip Tournaments, you’ll earn yourself 10 Gold Chips and you will win the $1,000,000 prize. Don’t fret if you happen to miss out on the top 100 placings during one tournament, though – you are rewarded with prizes and fresh tickets with each Gold Chip you collect, so you can cash them in and start again. Keep earning Gold Chips and you’ll be able to continue partaking in tournaments. 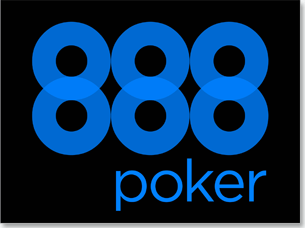 Already an 888 Poker account holder? You can still enter the $2,000 Money Grab Free Tournament promo. Check your email for a link to the current promotion, and you can deposit cash to gain your free tickets into the tournament. Additionally, players can gain tickets into the $2K tournament by playing in the Daily Poker Missions and the Gold Chip Spin Game, both of which are offered at 888 Poker. So there are ample ways to rack up tickets for a shot at becoming an instant millionaire.